Winter on the golf course, when ski poles replace golf clubs, is a time when only the most diehard of golfers think about their swing and the coming golf season. While it is a relatively quiet time in the Nicklaus North Maintenance Department with only two year-round managers working, it is the time to review, plan and prepare for the coming season. 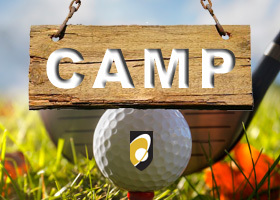 Budgets are made, course supplies are refurbished, equipment is repaired and of course vacations are enjoyed. Winter is also a great opportunity to catch up on the advancements in the industry by attending a conference and watching webinars in hopes of finding new and inventive ways to improve our maintenance practices in the coming year. One thing winter is not, is a time to turn our back on the grass; turf still needs to be monitored throughout the winter and when grass needs to be saved action needs to be taken. As was the case in 2014, an ice layer has developed on the greens and currently the greens are being cleared in order to remove the layer of ice that suffocates the turf below it. Even deep in the middle of winter we are thinking about the coming season, long before the first blade of grass is cut and golfers again walk the fairways.